Our Rose City Park neighborhood is lucky to have a tremendous inventory of beautiful trees. Over 5700 street trees alone, in fact! 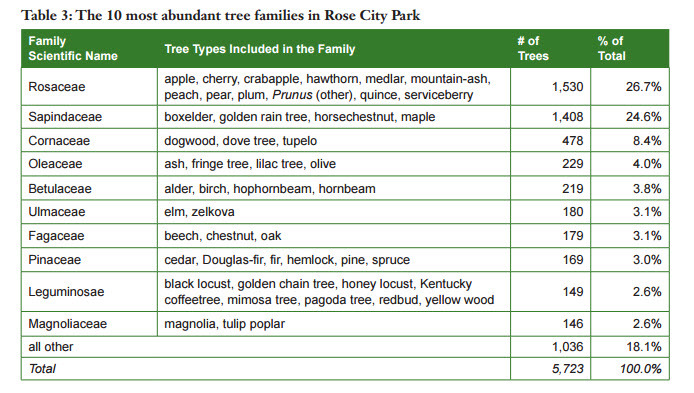 The table above is from a recent report completed by volunteers led by our Environmental Committee Chair David Gates, the Rose City Park Street Tree Inventory. If you have an interest in our neighborhood “forest,” I highly recommend checking it out. In addition, there is a street tree inventory map and even an interactive map where you can look up the trees on your block. At our January General Meeting (Jan 24 2017 at 7pm), we will have a presentation with more information from this report’s findings as well as info on how you can get involved with the Friends of Trees planting event for Rose City Park this coming March. Wishing you had some more fall color at your home? Have you considered adding a tree or two to your yard or parking strip? Trees have many benefits including providing sidewalk shade, slowing traffic, reducing storm water runoff, cleaning the air, and making us feel better in general…to name a few. Planting a tree on the south or west side of a house or yard can block afternoon sun and provide significant cooling to the area. Planting an evergreen conifer can create a quick green screen or block an imposing streetlight from your bedroom window. 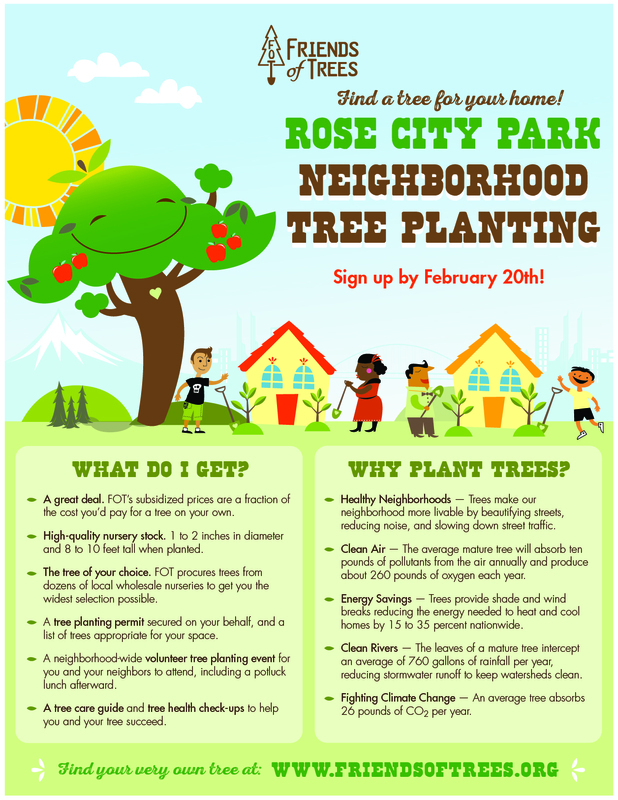 Friends of Trees is now taking orders for yard and street trees for the annual Rose City Park tree planting taking place next March. Interested households can get a tree planted at their home for only $35 a tree. To sign up and see a list of trees for your home, go to the Friends of Trees website to make an account. When you sign up early, you get the greatest selection of trees to choose from. Sign up today at www.FriendsofTrees.org/plant. 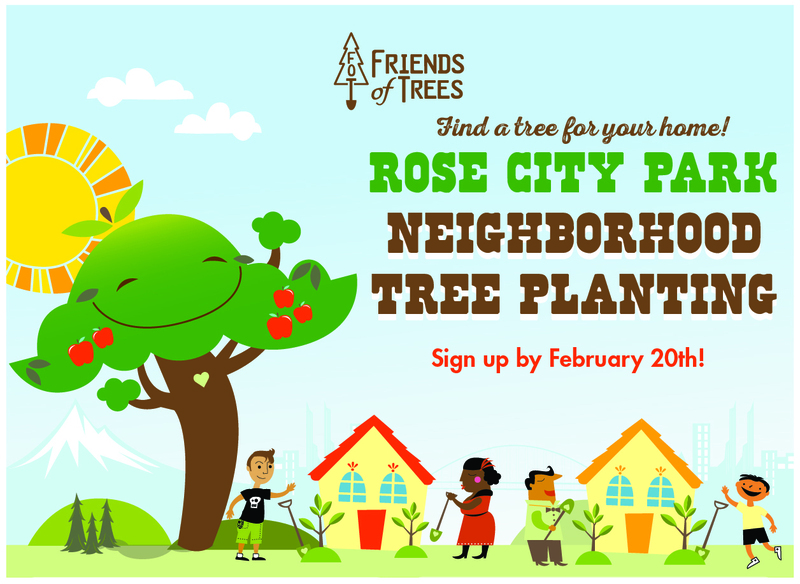 You can also reach your local Friends of Trees neighborhood coordinator volunteer Jesse S. at RoseCityPark@plantitportland.org with any questions or concerns.